– How long does the cleaning and protection of your system last? From our experience, the clean gelcoat with its protective layer should remain clean and shiny for at least 2 seasons and often longer, especially if the boat is washed regularly. The application of a traditional wax lasts between 3 and 4 months and on the hull between 4 and 6 months, depending on the weather conditions. – There are blisters that have appeared on the hull of my boat what is it? Bubbles on the hull are caused by water absorbed through the gelcoat that has entered the fiberglass. It is called osmosis. – Can osmosis be prevented? There are several epoxy protection systems available that can be applied to the hull to prevent this phenomenon. The epoxy products are much more resistant than those in polyester yet present on all the boats to the construction. Our experience shows that an epoxy treatment applied to a dry, bubble-free shell is guaranteed almost lifetime against osmosis. – What can I do if my boat shows signs of osmosis? There are two ways to treat osmosis, the first is to completely remove the gelcoat to expose the fiberglass to the air for drying and then apply epoxy protection to prevent it from starting again. future. The other method is to simply sand the hull and then spend at least 5 layers of epoxy. This does not eliminate the bubbles but this will prevent osmosis from progressing. The second method proved to be effective in terms of cost but also efficiency. – What is gelcoat? What are the advantages and disadvantages? Gelcoat is a polyester resin composed of pigments to give it a color (usually white pigments). Most boats have a gelcoat finish on the outside, the majority of people think it is a paint. The function of the gelcoat is to protect fiberglass from external aggressions. The biggest advantage of the gelcoat compared to the paint is that if the surface is scratched it can be sanded and thus renovated when it is not possible with paint. Another advantage of the gelcoat comes from its hardness, in fact it supports much better the abrasion of the fenders, dock rubbing etc … The disadvantage of the gelcoat is that it is more sensitive to UV and therefore it will more easily tarnish compared to a quality urethane bi component paint. – What color is advised for a boat? The first thing we ask when we are contacted for a repair is “what is the color”? Indeed for a boat in white tones, it is easier to find the corresponding color for the repair which means a lower cost. In addition, dark colors tend to heat up in the sun. This heat can burn the resin inside the fiberglass, which will cause, potentially cracks and blisters. Colors also tend to tarnish faster than white tones. – How can I clean the bottom of my boat, I mean the part that’s underwater? When your boat is out of the water at the shipyard, we or the shipyard staff will use a suitable high pressure cleaner (very far from the one at the back of the garage to clean the car) to remove dirt, Algae and shellfish on the hull, rudders, propeller and other appendages. A spatula should also be used to complete the cleaning at the points where the high pressure cleaner could not go. – Can you come and see my boat at the port to give me an estimate? Yes we can make an appointment to evaluate your needs and then provide you with an accurate and guaranteed quote in writing. In some cases, for simple jobs like cleaning we can provide a quote based on our experience on the same type of boat without actually seing the boat first. – Can you take my boat out of the water? We do not do it ourselves but we have partnerships with most of the shipyards on the French Riviera, we will choose the one closest to your boat. – Do you offer your services all year round? Yes we are available all year. We propose several year-round maintenance formulas to prepare the season (engine service, bottom painting, polishing) or winter (inspection visits, winterizing of the boat and the engine). – When you say “exterior cleaning” is it to rinse the boat? Although it is possible to set up a formula that includes only a rinsing of the boat with an outing at sea, external cleaning includes the following operations: 1st rinsing of the boat, soaping with suitable product (glasses, gelcoat, stainless steel, anti- slippery decks ) and then manual drying with chamois and microfiber. – How much does a boat cleaning and detailing cost? Our rates for a boat detailing are calculated according to the size and type of boat, whether for an interior or exterior cleaning or both or whether the boat is in port or dry. 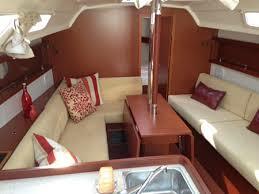 Our prices are comparable with the other boat cleaning companies of the Côte d’Azur. However the ceramic protection we propose to apply lasts much longer than a wax or a polish, which in fact reduces the cost of boat maintenance. We will offer you a free, detailed quote so you know exactly what you are buying. We do not charge on time or products in addition, our prices include labor, efforts on details and products. Contact us for an estimate! – What do the products you use do? We use products that thoroughly clean by removing dirt and marks effectively and safely. These products contain neither Teflon nor silicone. Moreover, our products are biodegradable to protect the environment. – Who are your references? 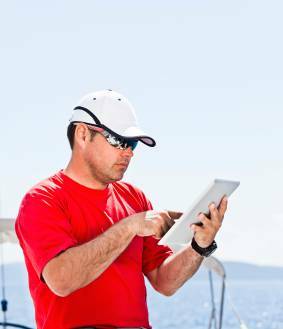 – Why should I use the Master Yacht Services rather than another cleaning company or my dock neighbor who also does boat cleaning? We guarantee our work, we are insured to take care of your boat. Our experience and longevity have taught us that if you are satisfied and we bring you added value, you will come back and recommend us to your friends boat owners. If you base your selection solely on price, Master Yacht Services may not be the best solution (although we are generally well positioned at this level). If you want a job done by a professional properly trained in boat cleaning and detailing and recognized for the quality of their work, I invite you to try our services. – What is a “detailing” or premium cleaning that you offer? This is an extremely thorough cleaning, which goes further than a conventional cleaning with rust removal, specific cleaning of the antiskids (often stitched with black dots) and the application of a finishing wax in order to To arrive at a state of cleanliness as if the boat was presented at a boat show. We accept payment in cash, payments by wire transfer, CB and PayPal. We do not accept checks. – What is “boat staging”? Inspired by the home staging that allows a sale of apartment or house faster, the boat staging is a service that we propose to boost the sale of used boats. Indeed, a boat clean and in good condition will sell faster, it seems so obvious but many boats offered for sale are in bad condition. – How does the “boat staging” service actually take place? We take an appointment on board to make an appraisal of the works, usually including: a boat polish, a stainless steel polish, premium cleaning inside and outside but it happened that a cleaning and painting of the bilges and engine are necessary. In addition our photographer will come after the work with its accessories to take beautiful pictures that will help to stand out.